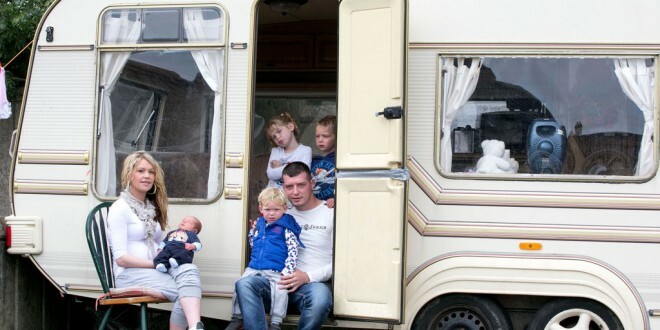 James and Caroline Sherlock with their children at their caravan. Photograph nby Arthur Ellis. A NORTH Clare couple and their four young children are among the 6,239 people currently seeking accommodation in Clare. James Sherlock and his partner, Caroline Sherlock, have been living in a caravan at the front of Caroline’s family’s home in Ennistymon for the past year and a half. Now with four children, aged between four years and four weeks, the couple are at their wits’ end. “We have to go into my parents’ house to use the toilet, the shower and to do any cooking. Even at night, if my daughter wants to go to the toilet, we have to go out in the rain to get to the toilet in the house,” Caroline outlined. The family found this summer especially difficult because of the wet weather and are dreading the winter. “Like all children, they just want to play outside but, basically, they have been stuck in here,” Caroline said, indicating the one-room caravan. The caravan does not have heating and, as a result, is cold and damp. “The cold is really affecting the baby and my [four-year-old] daughter. They are all the time getting colds and I sometimes have to wear a jumper to bed,” Caroline revealed. 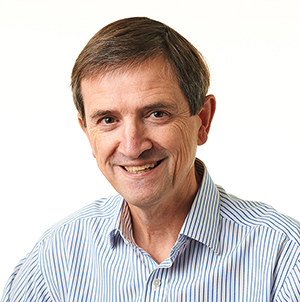 “The summer was bad but it is going to be much colder in the winter,” James added. As well as the physical impact, Caroline says the situation is stressful and impacting on her family’s mental health. “It can be very depressing, to tell you the truth. Sometimes we feel that low that we pack up and go to James’ family in England for a few days just to get out of here,” she said. According to James, the couple have been on the housing list for the past five years “and every time we go in, we are told there is nothing available”. Caroline says they are extremely frustrated with the system and the delay. “We are told it might take five years or even 10 years. My sister got a three-bed house and we are happy for her but we are being told that that would not be big enough for all of us. But at the moment we are in a caravan, so we are all in the one room really, so it is all the one how many rooms a house has,” she stated. “We are not choosy, we will take what is available but we cannot get private rented accommodation,” she added. “We want some place that is, say, within 15 or 20 minutes of Ennistymon. I know lots of people who are choosy and they seem to get what they want but we are not and we still can’t get anything,” she continued. Caroline believes her family is being discriminated against in the private rental market because they are Travellers. According to James, that is just one of the reasons cited by landlords. “We have no choice but to live here. We cannot get rentals. We have tried for over a year and a half and still we cannot get somewhere. When people hear we have children, that is it,” he said. “We viewed a house but there was no problem with children or rent allowance but then they see us and say no,” he added. “It is all excuses,” Caroline concluded.